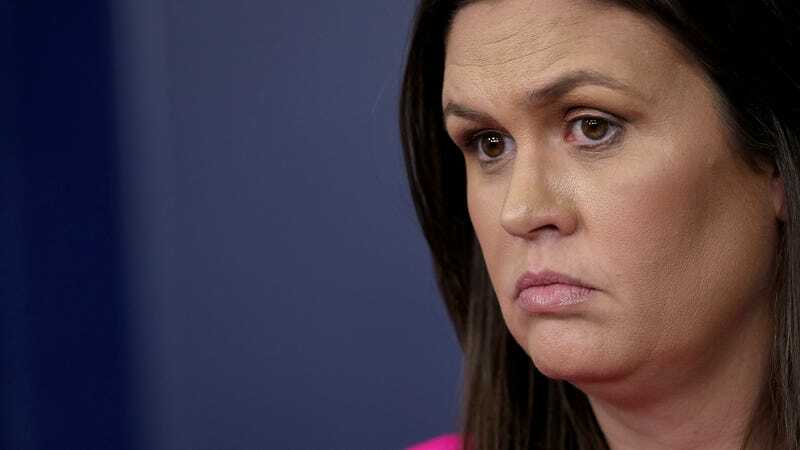 While Sarah Huckabee Sanders has denied rumors that she plans on getting the hell out of the White House, administration officials have quietly begun planning for her eventual departure, according to Politico. As Politico reports, the White House deputy chief of staff for communications Bill Shine has been asking around for suggestions of candidates to replace the current press secretary. and White House deputy press secretary Raj Shah, who apparently has never worked for Fox News. “Who would want that job?” an unnamed former administration official posed to Politico. Apparently...... everyone who’s ever shilled for Fox News.